If you’re looking to land both Pokémon Omega Ruby and Alpha Sapphire this holiday season, instead of a single game from the duo, Nintendo has a new dual pack option that really only includes an in-game promotion. Don’t expect anything too crazy here. This is not for folks looking to save a few bucks, as the dual pack of Pokémon Omega Ruby and Alpha Sapphire will go for $79.98, exactly double the price of the games as a standalone. Nintendo really could have stood to drop this by, like, a few bucks here. Alas, that’s not the case. What you will get, though, is rather lame. Players who buy the dual pack of Pokémon Omega Ruby and Alpha Sapphire will score a download code to, brace yourselves, start with 100 extra potions. Spread over both games, that’s 200 potions. Yep, that’s it, potions. When’s the last time you found yourself in a Pokémon hurting for potions? At the Elite Four, maybe? You know, when you have more money than you know what to do with thanks to mopping the floor with the trainers hanging out in the woods all over the world? I love Pokémon, trust me. I’m a fan. But, man, this is one of the silliest promos I’ve ever heard of. At least give the people a shiny Geodude or something. 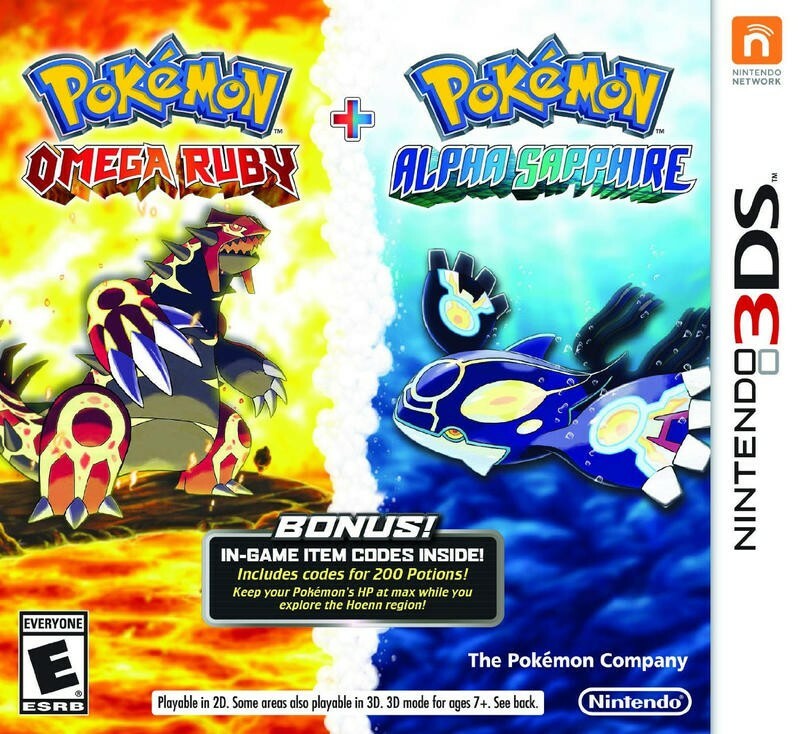 Pokémon Omega Ruby and Alpha Sapphire will launch on Nov. 21. This dual pack will only sell at Amazon and Best Buy.